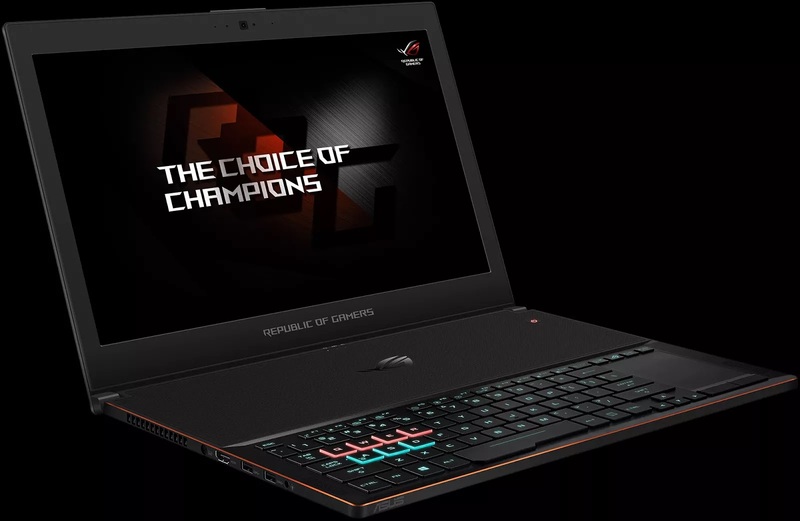 ASUS Republic of Gamers (ROG) today announced the launch of the world’s slimmest gaming laptop, the Zephyrus. This beast from Asus is powered by a 7th Gen Intel Core i7 processor (Kaby Lake) and the latest NVIDIA GeForce GTX 1080 graphics. Zephyrus will come with the Windows 10 Creators Update, which enhances the performance of PC games by means of the all-new Windows Game Mode, thereby enabling easier native game-streaming with Beam, Microsoft’s streaming service. The gaming laptop will be showcased for the first time in India on 20 August, 2017 at Hotel Lalit Ashoka, Bangalore on the occasion of ROG Masters South Asia finale. The mega event will be attended by at least 1500 gamers. Priced at Rs. 2,99,990, the 15.6” display touting Zephyrus is an ultra-slim laptop and also incorporates the Active Aerodynamic System (AAS) — a specially designed ROG-exclusive cooling system. It also features customizable ASUS Aura RGB lighting effects and a super-fast 120Hz panel with wide-view technology, 100 percent sRGB color gamut and NVIDIA G-SYNC for breathtaking gaming visuals. By incorporating Max-Q technology, NVIDIA has enabled the OEMs to build laptops which are 3x thinner while delivering up to 3x more performance compared to previous gen. The better portability of laptops coupled with the powerful performance from NVIDIA ensures that gamers get the highest quality gaming-experience wherever and whenever they want it. The ROG-exclusive cooling system called AAS incorporates AeroAccelerator technology for higher speed and efficiency of airflow. A small portion of the bottom chassis flexes each time Zephyrus is opened, increasing the air circulation. This efficient cooling maximizes the performance while keeping the thermal parameters in check, allowing the full utilization of the processing power. The design of the keyboard is also unique, which enhances the cooling of internal components. Featuring Aura RGB lighting, gamers can set customizable patterns as well as highlight effects for WASD and QWER key groups. WhisperMode technology plays with the game’s frame rate and the graphics settings simultaneously to increase the efficiency and reduce the acoustic level, making the gaming experience a lot quieter. The display on the Zephyrus has a very high frame rate of 120 Hz, which gets synchronized with GeForce graphic card’s frame rate as a result of G-SYNC, ensuring smooth visual experience. Wide-viewing angles and 100 percent sRGB gamut allows stunning color reproduction from all angles. 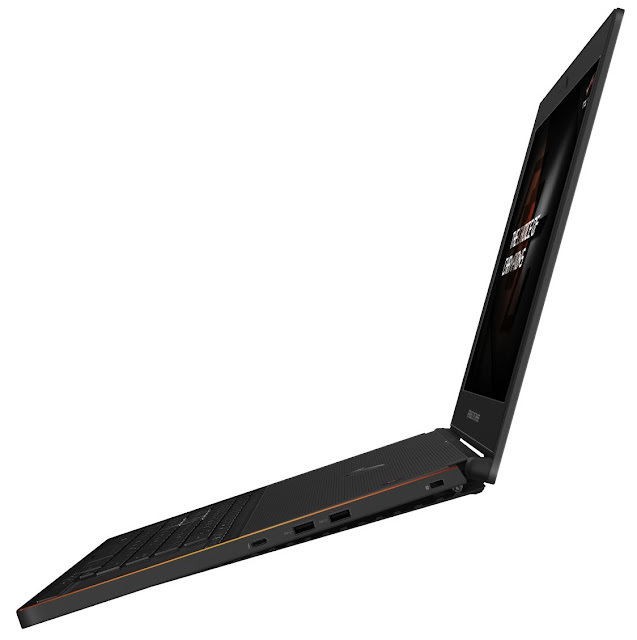 With a thickness of just 16.9 mm, the world’s thinnest laptop with a GTX 1080 also features a USB Type-C with Thunderbolt 3, supporting G-SYNC, 4K output and fast data transfers.